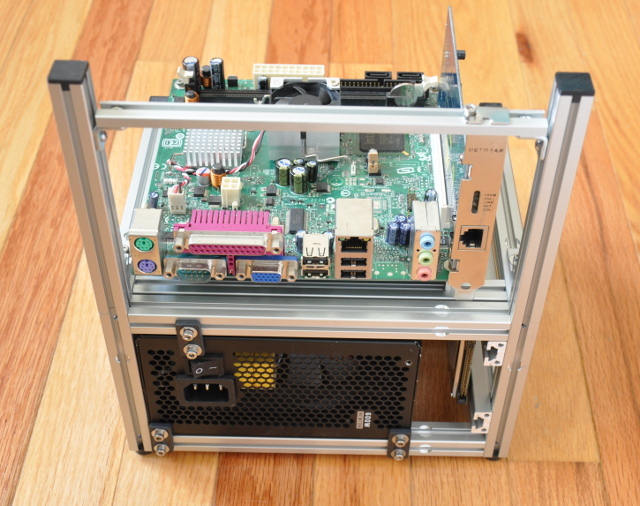 The mini modular tech station/bench can accommodate a miniITX motherboard, ATX or SFX PSU and one 3.5-inch hard drive or SSD. The tech station pictured below is shown with optional end caps. An ATX or SFX PSU can be mounted along the back of the case. A drive is mounted to the drive “rails” (slotted-extrusion) via rubber grommets. 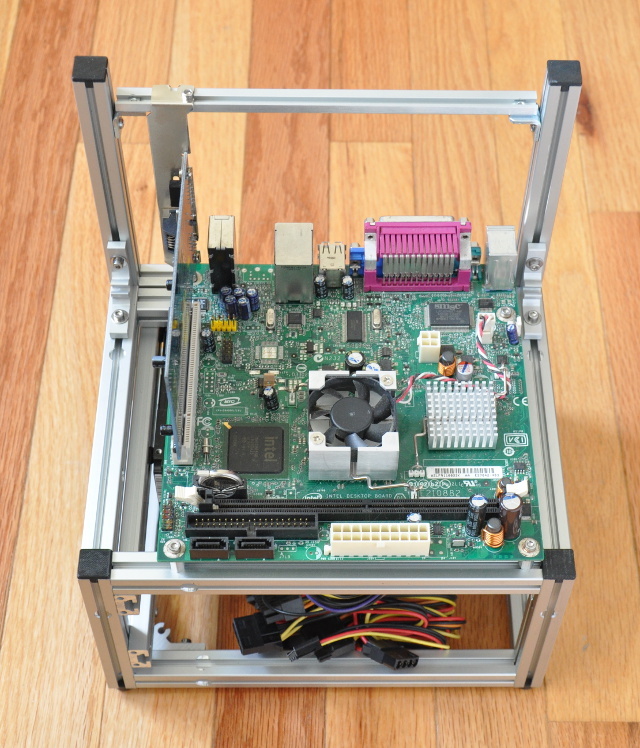 Support for a mini-ITX form factor motherboard. 7/8-inch tall aluminum motherboard standoffs. 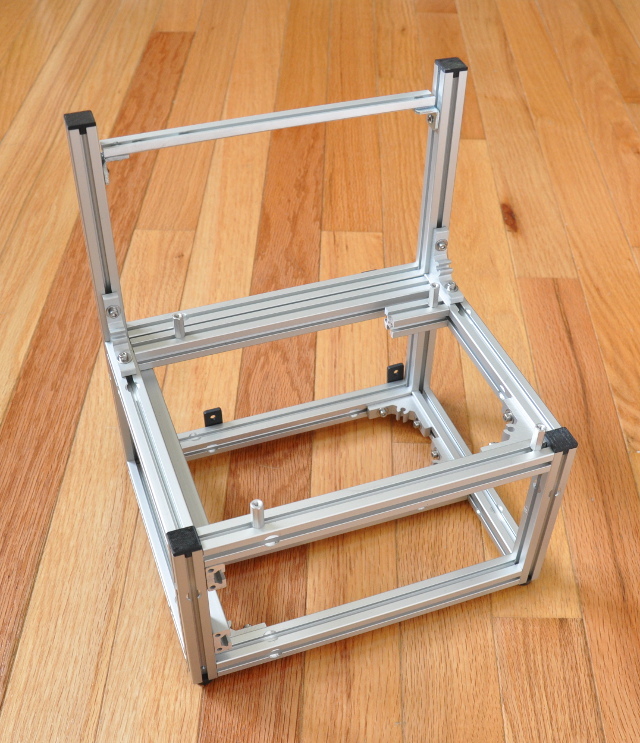 Mount a fan anywhere along the slotted extrusions. Bottom mounted PSU (ATX or SFX). 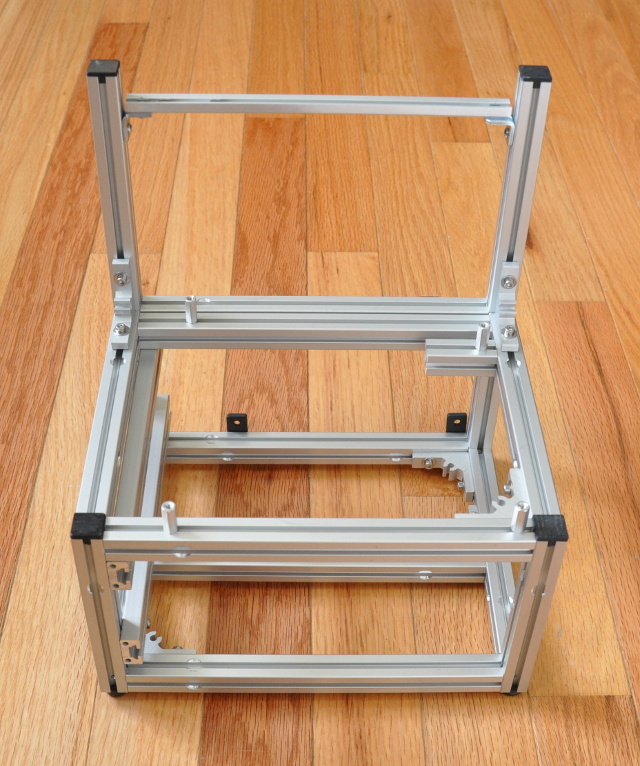 Install one 2.5 or 3.5-inch drive on the lower-level t-slot extrusions. Stackable (with optional extra posts). Weight: 2 pounds 9 ounces (4#-5 shipped).